250 awesome math problems aligned to the NCTM Grades 6-8 Standards! Download the 2018-2019 School Handbook below. The 2018-2019 MATHCOUNTS School Handbook contains 250 creative problems meeting National Council of Teachers of Mathematics (NCTM) Grades 6-8 Standards. Problems are indexed according to topic and difficulty level, and also are mapped to the Common Core State Standards. 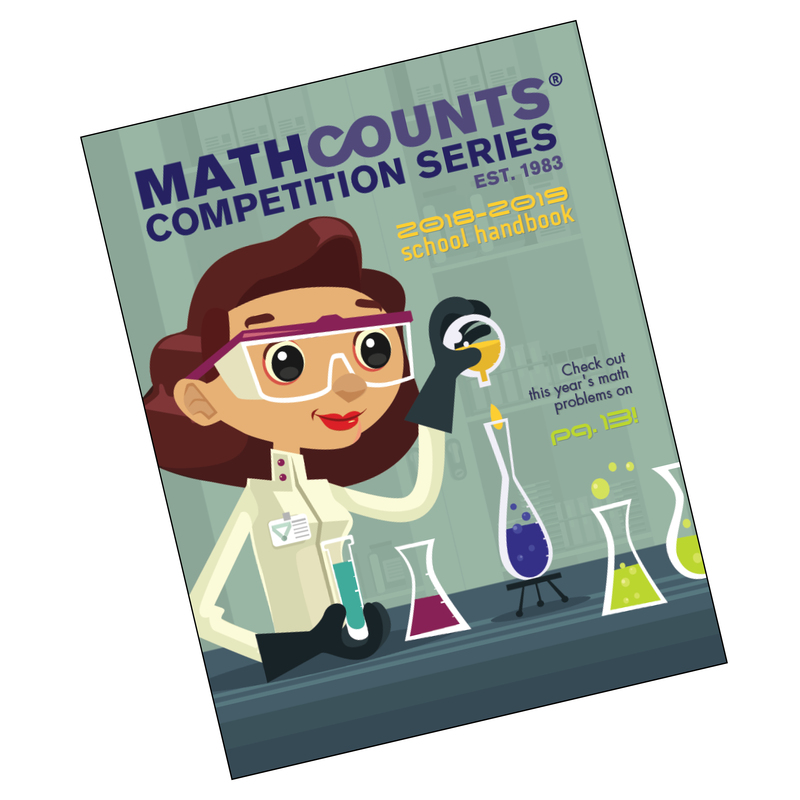 The Official Rules + Procedures for the MATHCOUNTS Competition Series are also included. Download this resource for free, or purchase the handbook with solutions at the MATHCOUNTS online store. This version of the handbook contains the same problems, plus a step-by-step explanation of how to solve each problem. Officially registered coaches must log in to get the 2018-2019 MATHCOUNTS School Handbook with solutions. Coaches also receive a hard copy version of this resource as part of their School Competition Kit, which is mailed after they register their school. Non-coaches can purchase the handbook with solutions at the MATHCOUNTS online store. Access this year's handbook with solutions, as well as other past handbooks and competitions for free on the Interactive MATHCOUNTS Platform! With this reboot of popular MATHCOUNTS materials, powered by NextThought, students can discuss problems in real time, access helpful teaching video resources, receive help from coaches and collaborate with teammates and peers across the country. This online community continues to grow and MATHCOUNTS materials are updated each year. Discuss problems in real time using the chat function...and more!